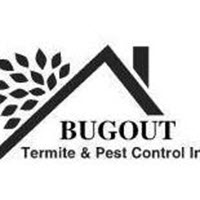 About Bugout Termite & Pest Control, Inc. Serving the great Baltimore area, our pest control service is committed to providing the safest and best customer service available. Call for a free phone estimate today and a technician will be happy to explain any service needs and products to you with a thorough inspection of your home. Our dedicated, professional staff strives to fix your bed bug, termite, spider, and other pest problems, no matter how big or small they may be. Always going the extra mile to get the job done, our quality service and reliability has always set us apart from the competition. Your satisfaction and safety are always our prompt, courteous technicians’ top priority. What people say about Bugout Termite & Pest Control, Inc.
Great service. Very knowledgeable and helpful. Troy and his son did a awesome job with our termite inspection! They were efficient and very thorough, checking every part of the house that could potentially be an issue. I would highly recommend them! This is a wonderful company they're always on time when they come and they're always Pleasant and happy and smiling I would recommend them to anybody. Fast and easy service! Professional staff! Thank you. Troy did a great job with the termite inspection and went over with me all the areas in the house he inspected and they gave me a good price on it too. Excellent representative; thorough and very pleasant. You now have a permanent customer! Very easy to work with. Even called me when they had a cancellation and moved up my appointment. Everyone was very pleasant and friendly. Good honest, local company! And I got my inspection certificate within 30 minutes of finishing my appointment. The technician was very thorough and took the time to explain what he was doing and why. Thank you. Mr. Dennis was very polite and courteous. I would recommend Bugout to anyone who needs this service. I'm glad I called this company. Thanks for all your hard work. We really appreciate your business. Very professional. The gentleman who came out, Dennis, was informative and made sure I was on the same page with his findings. Definitely recommend this business. Troy was extremely professional, polite and very sensitive to me and my home. I will be doing business with them in the future. Always a pleasure to work with BugOut knowledgeable, hassle free, and fairly priced! The service was awesome. We needed the inspection done and they came out the same day. Prompt, friendly, reasonsnly priced service! Bug was quick response and professional in removing raccoons from my attic. I would recommend them. We were having a terrible problem with ants at my office. I called for service and they had someone come out that day! He listened to my concerns and was able to have a technician come out the next day for service. They were super friendly and even more knowledgeable. I would highly recommend them to anyone! Very good service! Will definitely use if needed in the future. Great service. Friendly and helpful! Would recommend to anyone and would absolutely use again! Dave, the technician, was very through explaining what he was going to do. He answered all my questions. The pesty ants were gone in a few days. Made me happy. Great Service! Very Friendly and would highly recommend! Will use them for all my insect control needs. I've used Bugout's services a few times now. They are always friendly, polite, prompt, and responsive to every call and question. Such a pleasure to deal with true professionals who charge a reasonable rate and don't try to gouge you. What more could you ask for? I recommend them highly. Morris & Ritchie Assoc, Inc.
Bugout is always there to keep our pest problems in check. We can call upon them anytime to address our needs. Dennis was great! Very professional and explained everything in detail. Joe and Lisa Kane Love the service they give. Polite, effective and efficient service! Great service all around.... quality, timing and customer service. I will definitely hire them for any issue and will recommend them to everyone I know. Yes we had it done 10 days ago and there's still fleas popping up in the morning and we vacuum and use dish soap in a bowl but I think we'll get the 30 day follow up. Service rep showed up at appointed time, very friendly and professional. Troy is awesome & honest! Work was done promptly & thoroughly! Great customer service! Took care of my extermination issues. Timely and great prices. We have been using your services since 1996 and always pleased. Thank you.